“Attikus and the Thrall Rebellion,” the first Story Operation for Battleborn , released late last week, bringing more PvE content to the game. This DLC is both the first premium as well as first PvE-focused DLC released for the game, and I think fans of the game will feel it's been worth the wait. Story Ops can be attempted with 1-3 players through either a private lobby or the public queueing system. 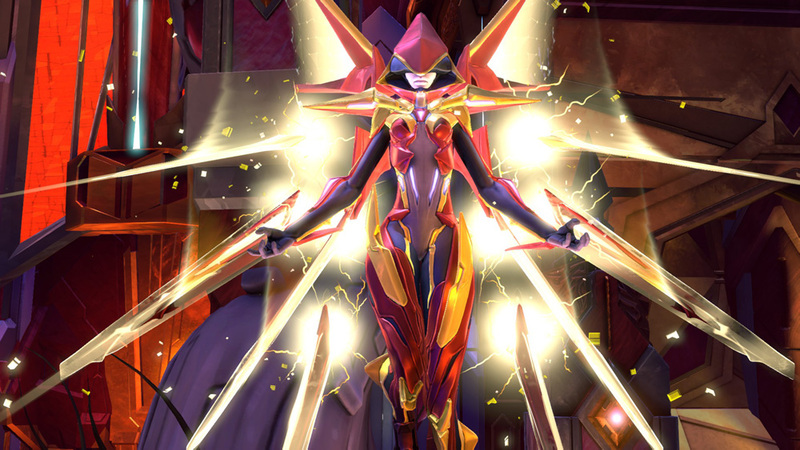 They take a bit of a different approach to Battleborn than the previous PvE content by featuring a developing story and introducing the Ops Points system. Let’s talk about Ops Points first. The first time you run an Op, you will start with 0 Ops Points and be able to gain a max of 50. After successfully completing that Op, the next time you start it, you will start with 5 more Ops Points at the beginning than the previous time and the cap will correspondingly be increased. You can gain Ops Points during a mission by either finding them in chests (single Ops Points) or completing optional side objectives (10 Ops Points for each one). As your Ops Points increase, the difficulty of the Op will crank up, spawning more and tougher enemies, but also providing a better chance of getting higher rarities of gear. Reaching certain Ops Points thresholds also has rewards. 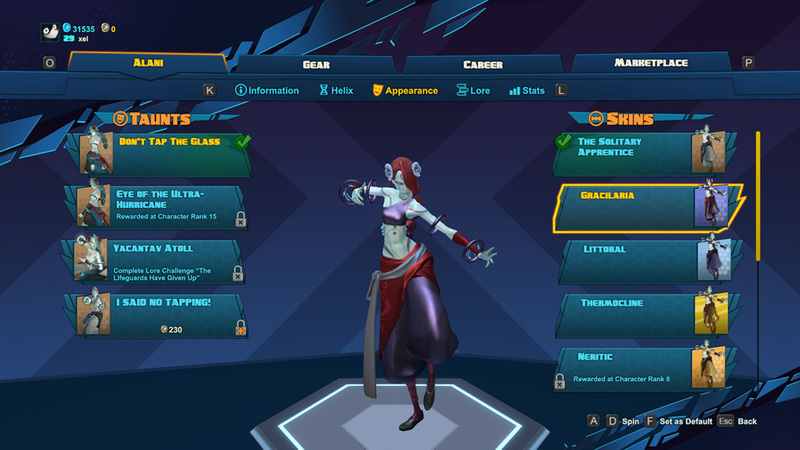 At 40, you’ll unlock a skin for the character you’re playing. For “Attikus and the Thrall Rebellion,” it’s a purple and dark red skin (Alani's is pictured above). At 50, you’ll unlock a title for your account. Finally, at 60 you’ll unlock a Commander Loot Pack, the faction being dependent on the faction of the character you played during the Op. All of these are awarded upon mission completion. Completing this particular Op took me about 25-30 minutes each time (that time includes looting all chests and completing as many of the optional side objectives that I could). This incrementing Ops Point and reward system encourage repeated plays of each Op. To keep things interesting, the story will change on successive plays, which brings us to the developing story aspect of Ops. The main objectives of the Op will stay the same, but the dialogue will change, revealing more of the story. The optional side objectives are randomized as well, ensuring that each time you play will feel a bit different. If you want to avoid potential spoilers of the story of “Attikus and the Thrall Rebellion,” please skip the next paragraph. “Attikus and the Thrall Rebellion” tells the story of how Attikus came to lead the Thrall Rebellion. In true Gearbox style, though, it incorporates pop references. The whole Op is framed as a Noir story, complete with the occasional sepia film effect. The main events of the Op surround a new antagonist: Aria, a member of the Silent Sisters. The first time I played through, the story was presented as Attikus being hired by Ambra (another member of the Silent Sisters). 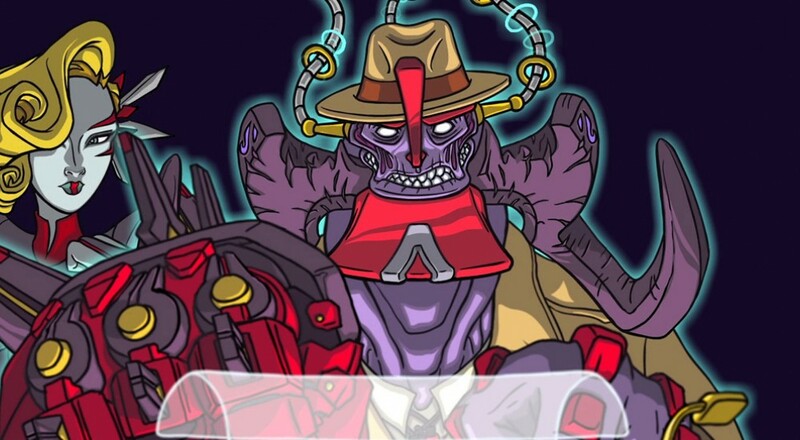 At the end of the Op, Attikus had a new client show up: Deande. The second time I played the Op, the story was framed so that Deande was hiring Attikus to hunt down Aria. I’ve played the Op several times now, and each time the story has been a little different. They all have the Noir theme, but the reason for Attikus pursuing and fighting Aria is different. The dialogue is always full of the customary Gearbox humor, as well, which I enjoy. I found “Attikus and the Thrall Rebellion” to be a very solid piece of co-op DLC. While the core gameplay is the same and, like the campaign missions, full bang-for-your-buck will come from repeated plays, the small differences Ops introduce provide an interesting and enjoyable variant. The tone of this Op reminded me of some of the DLC for the Borderlands games, which is definitely a big plus. 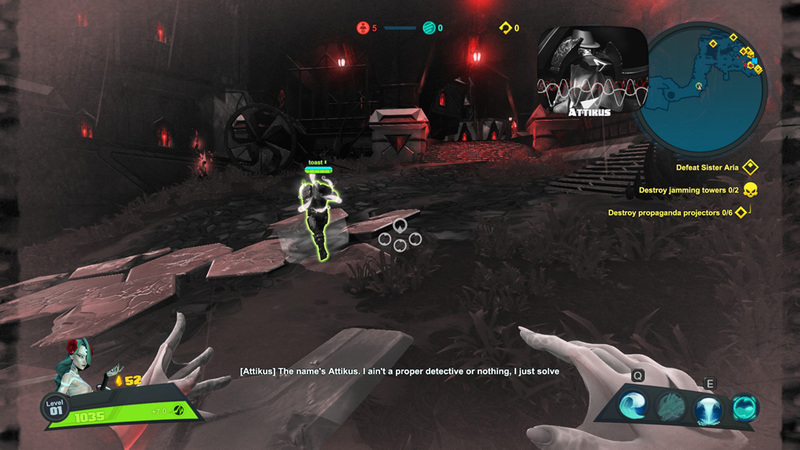 “Attikus and the Thrall Rebellion” certainly won’t change your mind about Battleborn if you didn’t enjoy it, but if you did like the game and want some more PvE options for the game, this is an easy choice for $5. 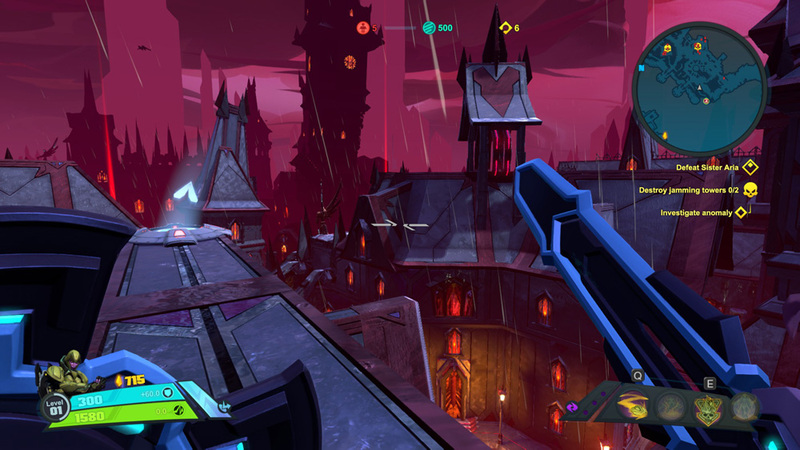 A total of five Story Operations are planned for Battleborn. They are bundled into packs along with special unlockable skins, taunts, and titles. Season Pass holders will be automatically granted access to all of the Story Ops packs, but they can each be picked up piecemeal for $4.99. PS4 players who played the Open Beta for Battleborn in April will receive "Attikus and the Thrall Rebellion" for free. “Attikus and the Thrall Rebellion” is available now, with the second story Op (“Toby’s Friendship Raid”) due out later this fall. The currently unnamed Story Ops 3, 4, and 5 will be out later this coming Winter. Page created in 0.3151 seconds.